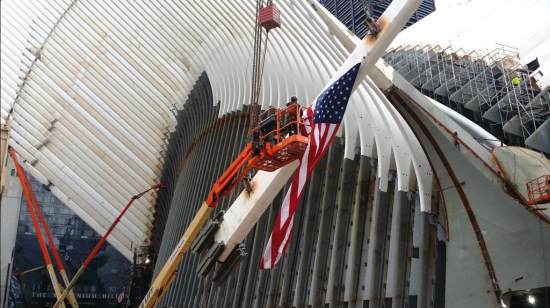 With the final rafter installed on Santiago Calatrava’s World Trade Center Transit Hub the New York Times has done a deep-dive on how, exactly, the long-delayed structure ended up costing close to $4 billion. While the hub ultimately looks more like a stegosaurus than a dove taking flight, as Calatrava originally envisioned, it is undeniably a head-turning piece of dramatic architecture. But one that will be forever grounded by the reality of its staggering price tag. 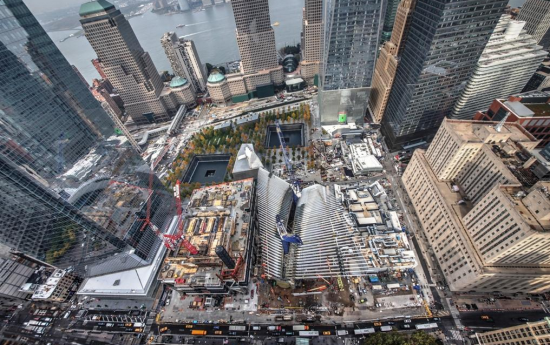 To find out how the Hub’s budget soared right along with Calatrava’s ambition, the Times conducted two dozen interviews and pored through hundreds of pages of documents. In the end, the Times said the problems go “far beyond an exotic and expensive design by its exacting architect, Santiago Calatrava.” The site’s complexity, the hub’s changing designs, security concerns, the lack of consistent oversight, and the price of labor and materials all slowed things down and increased costs, but, above all else, the $4 billion cost comes down to politics, politics, politics.